Sophomore guard Dominique Peters brings the ball up earlier this year against Montclair State University. Peters is averaging 14.3 points per-game. Photo courtesy of Sports Information. It’s crunch time for the Rowan women’s basketball team as six games remain on their regular season schedule, all against conference opponents. The Profs travel to The College of New Jersey for their next game Wednesday night. After winning five in a row, the brown and gold have dropped three of their last four games. Rowan is currently fourth in the New Jersey Athletic Conference (NJAC) with an 8-5 conference record and an 11-8 record overall. TCNJ is playing great basketball as of late, losing only twice since the first week of December. They currently sit behind Montclair State for first place in the NJAC with a 10-3 record in the conference and 15-5 record overall. 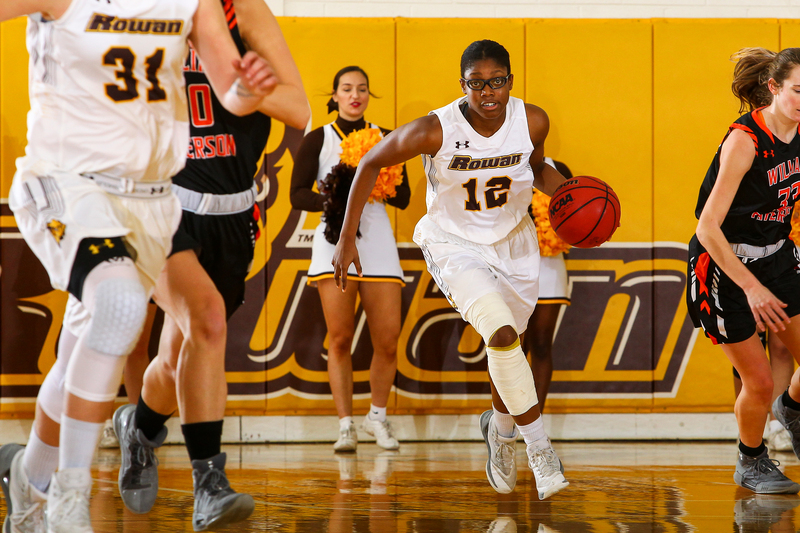 Rowan got the win in the first meeting between the two teams the first week of December, as senior Alex Raring scored 30 points in the 87-82 win at home. Raring has missed the last few games for Rowan due to an injury. However, it’s going to come down to the wire as to whether she can play or not. 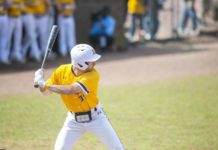 Despite the question mark surrounding Raring, head coach Gabby Lisella believes the game plan going in will be very similar to when the two teams last played. Lisella is referring to TCNJ sophomore forward Jen Byrne who scored 25 points and grabbed nine rebounds in the first matchup. “We want to dictate the pace of the game and really pressure them as much as we can,” Lisella said. Every game from here on out is crucial for the Profs. The more games they win, the better seed they get in the NJAC Tournament. In their last game, Rowan battled until the final whistle with Montclair State, the first-place team in the NJAC, who have yet to lose in conference play. The Profs wound up losing 72-66 at home. Despite the loss, Lisella and her team recognized that they played well. Rowan dropped their game against TCNJ, 87-77. 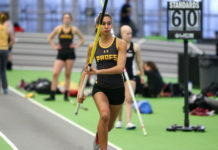 With a Rutgers-Camden win, the Profs are now fifth in the NJAC with an 8-6 conference record.